Premier Home Services, Inc. has been providing custom remodeling services to Loudoun County and the Surrounding Northern VA area for more than 14 years. We will help you with any project every step of the way. Whether it’s your dream home or a simple remodel, we will be available to you with any questions or changes that you may have along the way. Premier Floors Inc. is a general contractor offering remodeling and construction services. As a top contractor, we strive to maintain a high standard of ethics and professionalism with our clients. Virginia Premium Renovations is a full-service general contracting company that specializes in kitchen remodels, bathroom remodels, basements, additions, and many other contracting services. 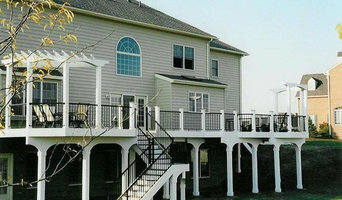 ADR has over 25 years of residential remodeling experience in MD and VA and can handle any size project. We work within our client's budget to deliver a quality finished product. 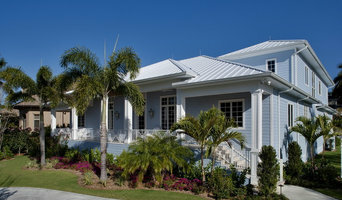 At Coastal Signature Homes, we know that when it comes to the perfect home, everyone has a different dream. Taking you through the process of building your dream home effortlessly is what matters most to us. Working with people you can trust is what matters most to you. Our success has made us very proud of the dreams we have fulfilled, and the friendships we have made. Our custom built homes complement your unique lifestyle; our process brings you comfort as we welcome you into our “Coastal Signature Homes Family”. That is the home we want to build for you. “No matter the size of the home, our quality and commitment to our clients never changes”. At Coastal Signature Homes we realize that whatever the project is, no matter how large or how small, it is important to you. That makes it important to us. Register on our website to see our complete home portfolio. MW Construction performs all types of construction from design-build to general contracting to construction management. Remodeling with a difference. Are you demanding? Do you appreciate the finer things? Would you like your home to reflect your individual personality and sense of style? If so, we're the ones for you! Best of Houzz 2014, 2015, & 2016: When you hire us for your remodeling project, you get workmanship that is truly a cut above. Quality work and excellent service are both our mission and our passion. Jordan Iverson Signature Homes is dedicated to designing and building innovative, elegant and efficient homes. Open communication and transparency in everything we do insures that every home is thoughtfully designed to fit both your lifestyle and the specific home site. We look forward to creating this with you whether it be new construction, design build, remodel or interior design! Each stylish home, offers a fusion of urban, modern and traditional design elements, materials and color palettes. This is done by incorporating creative use of space, innovative lighting and interior details, unique materials, architectural accents, and the latest in technology. Jordan grew up learning about construction and design from his father, who has been a builder for more than 40+ years. Jordan Iverson Signature Homes is based in Eugene, Oregon and builds throughout Lane County. They offer design services for residential and commercial work outside of this area including Portland, Los Angeles, Seattle and beyond. Fine Line Construction LLC is a small company looking to help you construct your dream home. 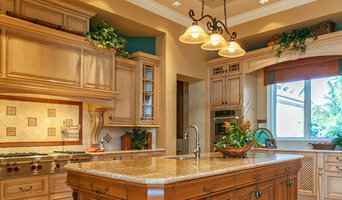 We will work closely with you to help realize the vision of your home! Castle Homes has distinguished itself as a top Nashville design-build firm producing impeccable homes with guaranteed pricing. Founded in 1993 by Alan Looney, in 2012 the team earned the coveted Southern Living Custom Builder of the Year award and was chosen to build the 2013 national Idea House at Fontanel. Know for superior attention-to-detail, green building and proven craftsmanship. Castle Homes staff includes construction project managers and an experienced interior design staff who work to create a stunning spectrum of homes throughout the Middle Tennessee area from low-maintenance farmhouses in Leipers Fork to historically inspired English Country style homes. Visit Castlehomes.com to learn about our custom homes in Nashville, Brentwood, Franklin, Belle Meade, West Meade and Green Hills. We're here to serve you no matter how large or small your project needs are. From major renovations to quick home repairs, our goal is prompt project completion. We can work from any type of plans, but we can also provide design build services. We also take pride in completing each project on time. If you're on the brink of a large home improvement project, remodel, or new build, you'll likely want to hire a general contractor. These professionals manage all aspects of the job to ensure it's completed on schedule and to your satisfaction. Whether you’re trying to find building contractors for a new construction, or home improvement contractors to spruce up your existing place, it’s important know exactly what role they will play in the project. Read more below for a list of must-ask questions. General, or construction contractors, are often known as project managers. They oversee the entire remodeling or new home construction project and facilitate all day-to-day tasks that move it toward completion. A general building contractor will work with your architect to review plan as you build a house and ensure everything is in place before work is started as well as arrange for permits and necessary inspections. While good local home improvement contractors will have the skills to handle certain tasks onsite, such as carpentry, he or she is also responsible for hiring subcontractors for the majority of jobs, such as electrical work, painting or plumbing. In addition, the general contractor should be on-site regularly to inspect the progress and resolve issues. Here are some related professionals and vendors to complement the work of general contractors: Architects & Building Designers, Interior Designers & Decorators, Landscape Architects & Landscape Designers, Kitchen & Bath Designers, Specialty Contractors. Home remodeling contractors are a must for successful completion of a renovation. Because of this, it's essential that you do your homework before deciding on the right general contractor as you remodel or build a house. Inspect bids carefully. Was it ready when the contractor promised it? Was the bid for building a home unusually high or low? Each of these things can be very telling: A late bid may reflect timing standards, and an off-the-mark bid could be code for a pricey premium or a deliberate underbid to score the remodeling job. You should call references, carefully read reviews and visit completed projects to see if they’re what you expect for your job. Once you do secure your local contractors, read the contract very carefully to be sure everyone is on the same page. Find a contractor on Houzz. Narrow your search in the Professionals section of the website to home contractors. You can also search for photos and contact the general contractor who worked on the project.